On Tuesday the 3rd of May 2016 the proposed federal budget was handed down. Budgets will often change or tweak a lot of things from education to defence, from welfare to health and from taxation to job creation. Almost every budget has good parts and bad parts for every individual, company and the economy/country as a whole. Being squarely in the individual category, and with this being a personal finance blog, it is the changes that directly impact me, my family, and my friends (along with fellow Australian personal finance bloggers) that I am most interested in. I know the areas you care about may not align directly with mine. Thankfully the government has created what appears to be quite a helpful resource to determine exactly what areas do impact you. Head over to budget.gov.au and use the three blue tabs at the bottom of the page to find some proposed changes that may impact you. Progressive taxation systems increase the amount of tax you pay as your income or earnings increases. Each income level (or bracket) is taxed at a given rate (currently 0%, 19%, 32.5%, 37% or 45%), and the amount of tax you pay goes up when your income jumps into the next bracket. One important thing to note, that some people do not understand, is that the additional tax from the new bracket is only paid on the earnings above the limit of the previous bracket. An example will help. 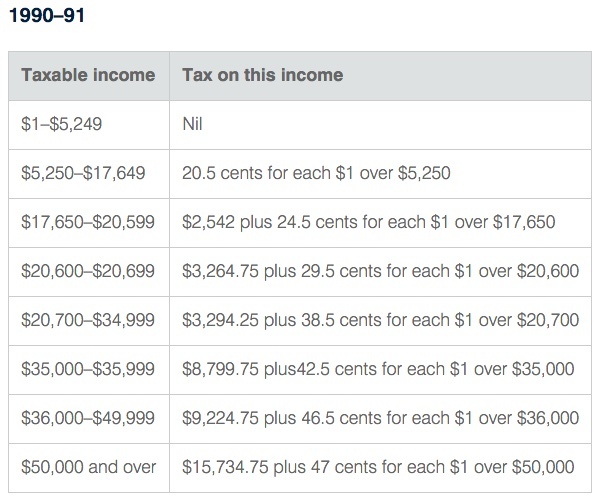 I will be using the tax brackets from the 2015-16 Australian tax year. Jessica earns $18,201 in the 2015-16 tax year. Her first $18,200 in earnings falls into the first tax bracket, and she will pay $0 (0%) tax. 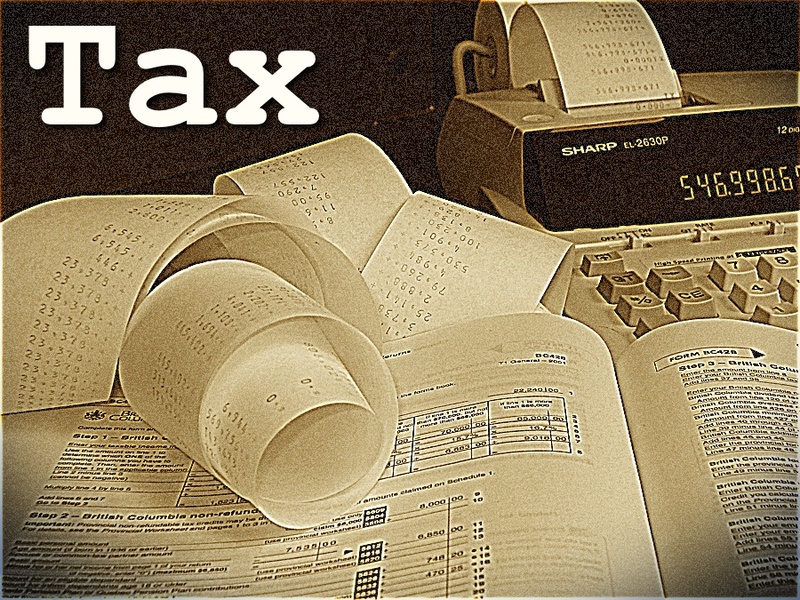 The last $1 (after the first tax bracket ends) will have 19% tax applied, or $0.19 tax. So Jessica will have a total tax bill of $0.19. This is all well and good, but there is a problem: inflation. Percentages work well with inflation, but fixed amounts don’t. Back in the 1983-84 tax year the top tax bracket of 60% (yes, over half of every dollar you earned!) was reached after $35,788 in earnings. Even with inflation that 60% will still be 60%. It doesn’t matter whether $100 will buy you an entire house or only half a grain of rice, 60% of it is still $60. However the effect of when that 60% rate kicks in will be impacted by inflation. Over time more and more people will find themselves falling into the top tax bracket. Without changing those brackets from time to time a minimum wage employee would soon have been in the top tax bracket, making the idea of a progressive tax system moot. Thankfully the government understands this and uses it for both good and bad. The bad is that they allow bracket creep (the act of people earning more, due to inflation, and having that push them into higher tax brackets) to bring in more taxes as people pay more and more tax year after year. The good is that they will often correct for this by increasing the thresholds for each bracket, followed by media hype making sure everyone knows that people will pay less tax! Is 2016-17 a Creepy Year? The recent budget did address bracket creep (yay), although it was not in a large way. They have made one small change. The boundary between the third bracket and the fourth bracket has increased from $80,000 to $87,000. That is it. This means that anyone earning over $87,000 will be $315 better off each year. That is $6 per week, or about 87 cents per day. The catch is, you have to be earning $87,000 or more to benefit from it. So lower-income earners will not benefit at all, and those earning over $87,000 will probably not notice an extra $6 per week. So while it is not nothing, it is also not that much of a change. Initially I had assumed that this would be the smallest change the government had made. My mistake – it is definitely not. 2008 to 2010 saw only a $1,000 increase for the boundary between the second and third brackets. While that figure is a lot less, being in a lower bracket it also impacted many more people. There were also a number of $4,000 and $5,000 changes around 2006 to 2008. More importantly for these changes, however, is that they were mostly consecutive years. Each small change designed to offset inflation. The difference with this current change is that it comes after six years of no change (well no improvement for tax payers, there was an increase in tax rates). So after six years without any adjustment for inflation, they have implemented a change that is only for the middle to high income earners that would account for around three of those six years worth of inflation. So despite the appearance, I would say that 2016-17 is indeed a year where bracket creep continues despite a small change to allow for some media spin around the topic. As a side note, back in 1990-91 there were eight (yes 8!) different tax brackets. While that is a lot, what makes it even more amusing is where some of the bracket boundaries were. Apparently someone thought that bracket number six should command a 42.5% tax rate but only for the earnings between $35,000 and $35,999. That’s right, a tax bracket of under $1,000! However it didn’t stop there. Bracket number four did not want to be out done, and commanded a tax rate of 29.5% but only for the earnings between $20,600 and $20,699! That’s right, a tax bracket of under $100! Those $99 special dollars were taxed at their own special tax rate. Needless to say the next year a lightbulb went off in some politicians head, and a decision was made to simplify the tax rates back down to five sensibly sized brackets. Crazy! In the not too distant future I will be having a look at the changes to Super (well, some of them), so once it is up make sure to check out part #2. Interesting historical analysis. I thought it was a curious decision, they could have increased the other brackets by a smaller amount – or at least the one below the $80k (so the total impact was the same) and had a better political reaction. The super is a big change. Rather not cool that it’s been retrospectively been done, though $540K is still a huge amount of money. It will raise a lot more tax over time. I think the change was an extremely political one.. changing the $80k bracket only helps the 2 highest brackets ($80k-$180k and $180k). I think they said this would affect 30% of the working population, which I imagine is around their voting % lol. If the change had actually been to the $37K it would have helped everyone who was in full time work ( andevery bracket higher) and if they’d changed the $18,200 then it would have helped every single bracket. The amount it would have ‘cost’ the budget means it was ‘cheaper’ to just do that change for high earners, to ‘spend’ the same amount, the increase would have been much less to either $18,200 or $37k. However, as a % of their earnings, it would have helped the lower earners the most. Australia needs ALL of its working population to prosper (& grow their wealth+spending), it is the whole population that drives consumption. It is the $80k and less bracket that make up the vast majority of spenders at Wesfarmers, Woolworths, Telstra etc etc. Even if it’s the ‘rich’ that own the shares and get the benefits of that, it’s the general population that drives the big business performance. For increasing profits, inflation and wealth of companies and Australia, the whole population needs to thrive – otherwise we will be slowly heading back to 1800s where the purchasing power of less-average Joe will be a lot lower (pretty sure there were a few revolutions in that time because of issues like that). Considering how much Turnbull is touting innovation it is surprising that he does not see the odd system where we have created in Australia where investors think it’s a better thing to make losses on property (whilst speculating the price will go up) rather than putting all those billions into possible companies/ideas that could make better products/services in Australia and/or go overseas and really bring wealth back to Australia. Having said this I’m all for tax minimisation & even moving to a place where tax is lower depending on your life situation and goals.